Even though it was released three years ago, Kay Honeyman's The Fire Horse Girl remains among the best debut novels I have read. Needless to say, I was fangirling all over the internet when I found out about Honeyman's sophomore novel, Interference, and she was sweet enough to send me an advanced copy. Where Honeyman's debut was a burst of diversity, color, and flair, her sophomore novel is an intelligent, wonderfully crafted modern-day re-telling of Jane Austen's Emma. It's a loose re-telling, omitting a handful of characters that we know and love to develop other relationships that weren't as prominent in the original, but unsurprisingly, they work, especially for YA. Our heroine, Kate, is the type of headstrong, no-nonsense protagonist I wanted to be in high school. She stands up for what is right, even when the system privileges her, and she doesn't allow herself to be cowed, beaten, or taken advantage of--in other words, she's exactly who and what I'd envision Emma to be if she lived in modern-day society. Kate is the daughter of a politician and after she finds her boyfriend cheating on her in D.C. (not to mention posting photos of her online that undermine her relationship with her parents and specifically her father's campaigns), she finds herself in a small town in Texas where football reigns supreme and everyone knows everyone else. I'm the type of person who resists change at all costs, which is why I admired Kate so much, even from the beginning. Although she believes she's the reason for her family moving away from D.C., she makes the best of her situation and resolves to be better, work harder, and get the recommendation letter she so desperately wants for art school. Honeyman ticks off so many boxes in her characterization of Kate. 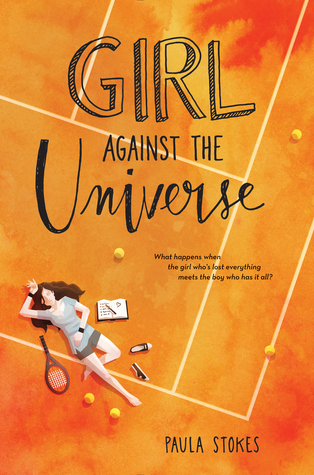 Here is a heroine who is confident--why is this so rare among YA protagonists? ?--and, what's more, she has passions that define her and is constantly pushing herself to discover more. Kate falters and make mistakes--so many mistakes!--but she always picks herself back up, owns up to her faults, and tries to make amends. I loved the way in which she kept in touch with her best friend from D.C. while also making new friendships and ingratiating herself into Texas life. Kate's life is so realistic and balanced, from her rocky relationship with her father to her tentative new friendship with Ana to her casual conversation with her former best friend Tasha and especially to her respect for her yearbook photography teacher who inspires her to be better. I find that adult role models are usually absent from the lives of so many fictional teenagers and this just breaks my heart because teachers, professors, coaches, etc. 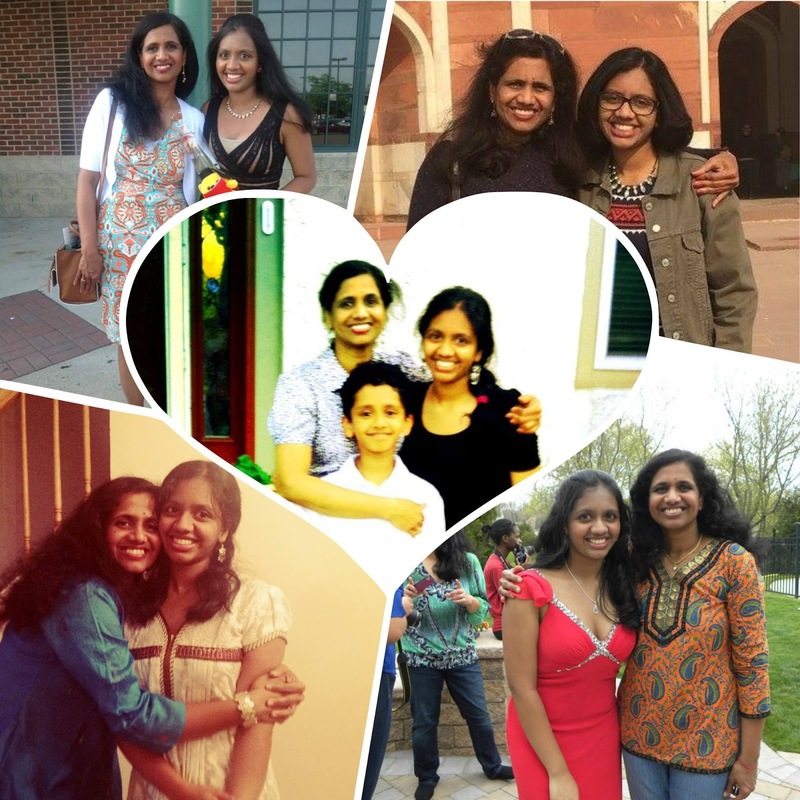 have always played such a huge role, not only in my life but in the lives of so many of my friends. It's refreshing to see Kate similarly affected by a teacher, especially since her relationship with this teacher starts out as disdain--since Kate can't see how a teacher in charge of the yearbook club could improve her photography--and shifts into awe and admiration. 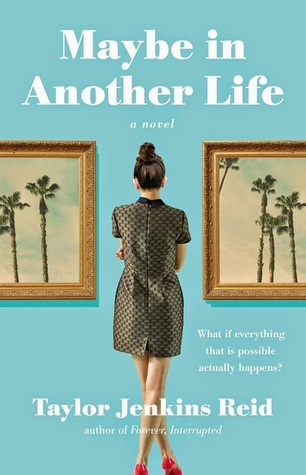 While Kate is the star of this novel, and rightly so, I found myself charmed by Hunter, Ana, and a whole host of secondary characters from Kate's father's new campaign manager to her aunt who grudgingly allows her to volunteer at her animal shelter. Ana, the "Harriet" of Interference, is kind and talented, the type of photographer Kate aspires to become. It's an interesting take on their relationship because unlike in Emma, Kate doesn't hold all the cards, here. There's is a give-and-take, with Ana helping Kate assimilate and improving her photography while Kate tries to instill more confidence in Ana. Hunter, too, is a surprise from the "Mr. Knightley" we may all expect. For one, he hasn't known Kate all her life, so while that familiarity takes awhile to build, the growth and change in their relationship is fascinating to watch. Hunter is serious and steady, always looking out for Kate in the best of ways, but he's also still a teenager with his own problems and prickly nature to boot. I enjoyed his and Kate's interactions, from their banter to their genuine apologies, and I only wish we got to see more of them as a couple. 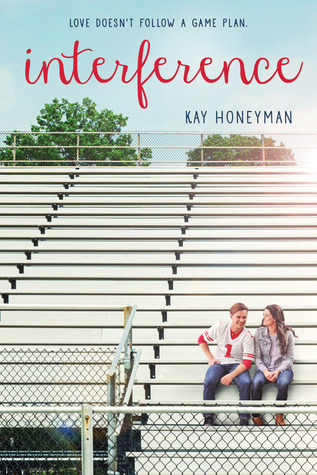 Honeyman excels at creating the atmosphere of this small Texan town, from its focus on football to the warmth and intimate understanding that they all have of one another. The politics, too, plays a large role in the plot of this story as Kate's father campaigns for a seat that has been held in his family for generations and Kate, as the politician's daughter, gets sucked in. Where this story differs from other political novels like The Wrong Side of Right is in that Kate has been on the campaign trail her whole life. She knows this drill like the back of her hand and she also knows the consequences of missing up and how to spin the story so that she comes out the victor--in other words, Kate knows how to win. I loved seeing how her father's political anecdotes made their way into her day-to-day life and thinking. Moreover, I really enjoyed her relationship with her father and the steady, but mature, manner in which she gains back his trust. Interference is such a delight: a capable, imperfect heroine against a backdrop of politics as she learns to navigate her own aspirations alongside those of her father's. While I will say that I missed the presence of Kate's mother in this novel, sorely, for she seems to be nothing more than a prop for her father, and I also wanted more of Hunter's mother, whose storyline I don't feel as if I got enough of, Honeyman's sophomore novel is a definite hit and a very successful re-telling of Emma. It's certainly up there with "Emma Approved," the YouTube modern adaptation that I love. While Honeyman strays from the original plot quite a bit more, the main elements are all there, as is the heart of this tale. Emma isn't a character most readers love, at first, and I think that may translate to Kate, as well, but she's a heroine I want to emulate--her confidence, her bravery, and her stubborn will to never give up. If nothing else, she's the type of protagonist I want more teenage girls to read about because, maybe then, they won't be so afraid to be confident, own their personalities, or shy away from their intelligence. What a quiet, atmospheric, tense, disturbing novel. I loved it. 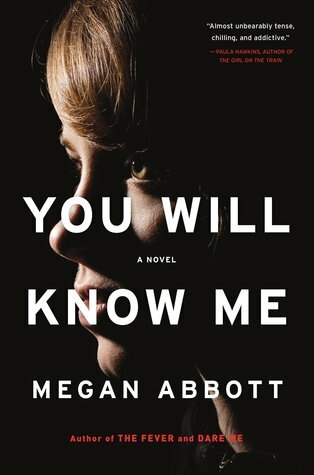 You Will Know Me is the first--but by no means the last--novel I have read by Megan Abbott and from the first page, I was struck by her prose. She describes a simple scene: a celebratory party among a close group of young teenage gymnasts and their families, roughly six weeks before Qualifying Exams. It should be a joyous, happy occasion, but with Abbott telling the tale, there's an underlying anxiety about the entire affair. It's impossible to know why, but there's a knot in the pit of your stomach--and it will stay there the entire duration of this novel. Katie, our narrator, is the mother of Devon, a prodigy at fifteen. I love how Abbott weaves this story, telling us about Devon's nasty accident at the age of three when her father, having accidentally left his lawn mower on, rushes her to the hospital after two of her toes are sawed off. How Katie, in an attempt to restore her daughter's balance, signs them up for gymnastics courses. And how Devon is a natural. How Eric, Devon's father, then buys a trampoline for Devon to practice on in their backyard. From then on, their lives revolve around Devon: taking our loans and a second mortgage, all so that Devon can have the best coaches, compete in the top tournaments, and be the best. How after a sudden injury, Eric raises money for the gym where Devon practices to get better equipment. How Ryan, a handsome young man, arrives to work on the construction of a new sandpit. And then, we have Ryan's romance with Hailey, the once-troubled-teen-turned-coach who is the niece of Coach Teddy, Devon's mentor and guide. But now, Ryan has died: killed by a car while walking late at night. And everyone's life is about to change. Abbott's prose draws you in and, what's more, it keeps you there until the plot picks up. I love a well-told backstory, which is exactly the portrait we get of Devon's family ever since her birth, her younger brother Drew often overlooked in the narrative. Learning about Devon through Katie's eyes is impressive and surreal: despite being Devon's mother, Katie has no idea who her daughter truly is. Sure, she's a hard-working gymnast, but nothing phases her--she's the Ice Queen. Devon doesn't have posters on her wall, she's never had a crush, and she yearns to keep puberty at bay, keeping her body slight and strong, as if its only duty is to gymnastics: not to love, life, or family. Thus, Devon seems more like a miracle, and a curse, than a true human being. We flip the pages, yearning to know more: what makes her tick, what propels her forward, what's really going on in that mind of hers? Like Katie, we love her, cherish her, and fear her all at once. Of course, Devon is the enigma of this novel but the plot, centering around Ryan's death, is fascinating. What I love most about the way this is told is that Ryan, who is such an insignificant and inconsequential person in the running of the gym or the process of training these gymnasts, somehow upends all their lives. Coach Teddy doesn't show up for practices, consoling his grieving niece, and the speculation about Ryan and Hailey's relationship throws these young teenage girls into swirling distraction. And, as this novel shows us, anything your child does is linked to their parent. Certainly, these young girls are sweating and shoving their bodies into inhuman shapes and sizes to perfect this sport, but it is at the expense of their parent's money, time, effort, sweat, and tears. A single slack in the concentration of these girls throws their parents into a frenzy--attacking Coach Teddy, demanding more time from him, contemplating changing gyms. And, underlying all this, is the mystery of Ryan's death and, for the reader, how it connects to Devon. Because, obviously, it all connects back to Devon. Katie's life revolves around Devon, the future of the gym lies in Devon's success--for, surely, she'll be an Olympian someday--and Eric, who perhaps blames himself for Devon's deformed foot, is dedicated and devoted to his daughter's gymnastics in a way no one else is. As Katie peels back the layers of Ryan's death, her eldest child, and her marriage, she soon longs for the days of naivety when she was blind to the conspiracies and secrets around her. Most interesting, to me, is Drew, Devon's younger brother who dreams of Devon falling off the roof and flying away. He is a sweet, strange little boy whose dreams seem eerie, almost like premonitions, but his neglect and role in the family makes him one who garners our instant sympathy. Every member of this four-person household is hiding so much and as the story progresses, I was as shocked and surprised as Katie to learn the truth. Where this novel falters, for me, is in its limited view of seeing this tale through Katie's eyes, and her eyes alone. I wanted to explore her marriage, especially Eric and his psyche, further. I'd have loved to be inside his head, however brief. We're given one chapter from Devon's perspective and it's marvelous--but I wanted more. The secondary characters in this, beyond Katie's family, are all fascinating in their own right and I'd have loved to learn more about them and what made their families tick, so different from Katie's. I also would have appreciated if the link between Ryan's murder and Devon's family was drawn sooner. It was obvious there was a link, if only by the anxious prose, but I felt as if there was a lot of random clue-dropping and wading through symbolic conversations before we finally began to make sense of what was going on. Nevertheless, I loved this nonlinear story-telling, the lies, the unreliable characters, and of course the dark underbelly to ambition. I can't wait to see what Abbott writes next and will be prowling through her backlog with glee. I'll admit it: Diplomatic Immunity was a tad bit disappointing. I enjoyed Ashton's debut series quite a bit--I didn't love it but I was impressed by the characterization and, mostly, the complex world-building--so I expected a lot from her latest installment. For the most part, Diplomatic Immunity delivered. Just...not to the extent I wish it had. Piper is an aspiring journalist and I absolutely loved her voice throughout this novel. When she wins a scholarship to attend a prestigious private school for her senior year--a school where the children of ambassadors study!--her life changes drastically. More importantly, for Piper, she now has a shot at winning a journalism scholarship for college. Piper's family is struggling financially and it's up to her to find a way to pay for her higher education. I really admired Piper's dedication. While her parents are supportive and caring, and her relationship with her younger brother is truly adorable, the financial strains her family is under weigh heavily on her. Piper works outside of school and is disdainful of the privilege that the students at Chaswick possess. In particular, Piper cannot help but be both enamored and disgusted by Rafael, the son of the Spanish ambassador. They literally bump into each other on the first day of school and, ever since, Piper is enthralled by Rafael's world. By the secret party invitations, the underage drinking, and the diplomatic immunity that allows him to get away with it all. In order to win her journalism scholarship, Piper decides to go undercover and get "in" with the DIs, the Diplomatic Immunities, and then expose their crazy lifestyle to the world. But the more time she spends with Rafael, the more she realizes that she just might be wrong about him and if she wants to salvage her friendship with Rafael, she just may have to give up her dreams. Diplomatic Immunity sounds incredible. It seems like a Pride and Prejudice re-telling, almost, with Rafael the rich and "misunderstood" Mr. Darcy and Piper our modern-day Elizabeth Bennett whose prejudice clouds her judgement. While Piper and Rafael's friendship develops over time, and is extremely believable, I just couldn't fall for this couple. I adored the way that they challenged each other but all-too-often Rafael is forced to ignore Piper because of her class status and I just couldn't forgive him for that. Moreover, he hesitates for far too long to tell her the truth about his relationship status and his excuses seemed flimsy at best, to me. Their friendship drags on for far too long, taking up the majority of this novel, and the time we glimpse of them together is so brief that I remained unconvinced that these two were the real deal. I also felt rather uncomfortable with the treatment of Piper's financial situation. I think it's important to highlight the stark class differences that exist in our world and, moreover, I really loved watching Piper grow from being someone who was bitter and judgmental to becoming much more understanding that money did not equate happiness. However, I think I would have liked to see more of Piper's family or a stronger discussion of how they came to rely on food stamps since their financial situation only deteriorates over the course of the novel. It's a messy, difficult topic to broach but I think Ashton did a disservice in bringing it to light and then not discussing it quite fully. I really also wanted to see Rafael and Piper work through their class differences more while in a relationship, as well. Another aspect of this book that I found lacking were the female friendships. Piper's best friend from her old high school, Charlotte, texts, e-mails, and calls her all the time but they never meet up outside of work throughout the school year and their interactions solely revolve around Piper. Charlotte seems like a doll. She never gets upset that Piper has moved on and made new friends, she never shares stories of her life or her struggles or her own dreams of becoming a news reporter, and she is never physically there in Piper's life. It's such a cop-out of a friendship and I felt genuinely annoyed at the way this was handled. I really enjoyed Tell Me Three Things and the messy friendship where one girl moves to a different school and it's genuinely hard to maintain their old friendship but there was none of that nuance in this. 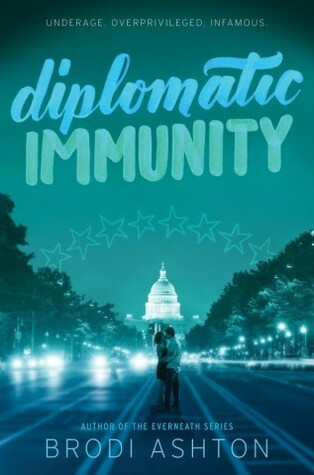 Diplomatic Immunity is a quick read. It's funny and entertaining and the sparring matches between Rafael and Piper are sure to keep you flipping the pages. Piper is a wonderful female lead and her passion for journalism bleeds through the page. I love characters with interests and goals and most of the characters in this novel have those. They have families that are present and make an impact on their lives and they have class baggage that is something that they deal with. So while Ashton may not have made me swoon with this romance or won any points on the friendship department, I suspect that this is going to be a hit among readers far more easy to please than I am.